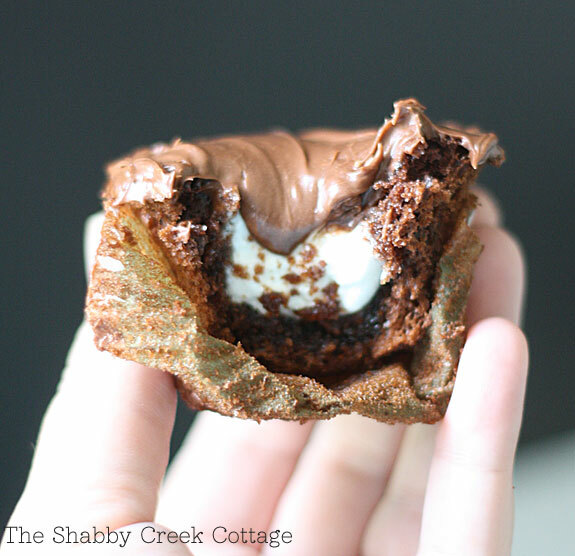 Why have a regular old chocolate cupcake, when you can have a scrumptious, marshmallow in the middle chocolate cupcake? Let’s face it – if you’re going to have to work off all those calories by Just Dancing for an hour, you should totally make sure that it was worth every single morsel – and these suckers are worth it! 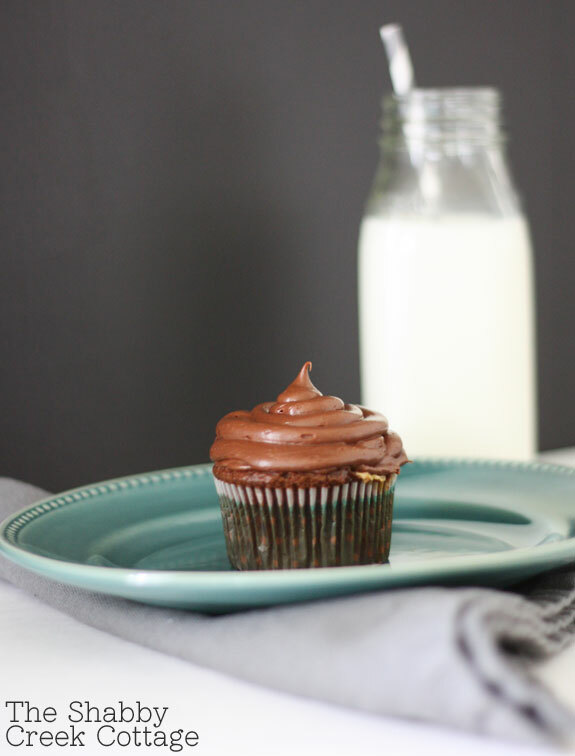 Rich, chocolatey cupcake goodness, filled with a creamy marshmallow center – y’all! I know, I know, you’re probably going to say “but they’d be better if you make them from scratch.” It’s all good – I’m cool with a cake mix. They’re quick, easy, and since I’m not the world’s best baker, it’s pretty much the only way that I’m actually going to bake a cake. Just sayin’. Want to know my secret to getting the marshmallow in the middle? Well, let’s get to it…. First, you start with a regular chocolate or devil’s food cake mix. Any brand will do. You’re going to mix it according to the directions (but I always add a TBS of vanilla to the mix because I swear it tastes better that way.) You’ll also need some regular size marshmallows and some chocolate frosting. Again, from scratch is fine, but I’m lazy and stuff. After you mix the cake batter, fill cupcake liners 1/2 way with batter. Push a whole marshmallow into the center, then bake according to the directions. When they are done, you’ll have a crater in the middle. It looks gross right now, but it’s worth it. Pinky promise! As soon as they come out, push a fresh marshmallow into the center, then pop them back into the oven for about 2 minutes. You want them to get all melted and fill in the hole. 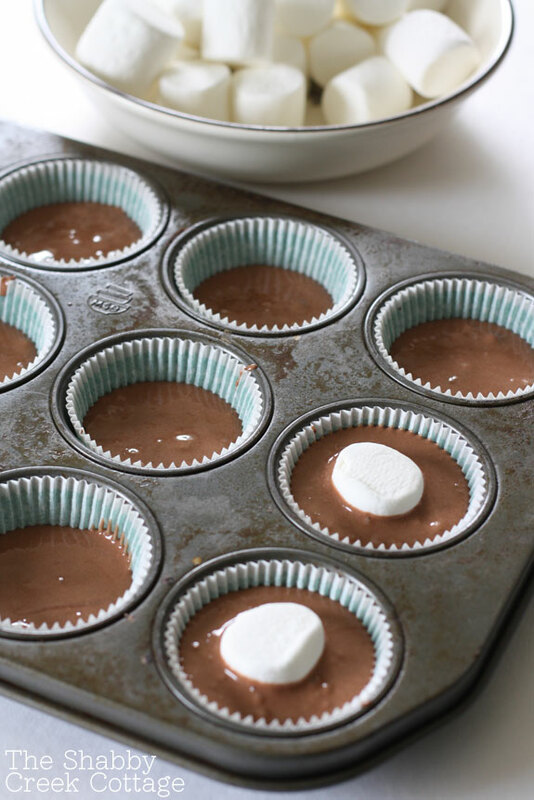 Use a spoon to help coax the cupcakes out of the pan – gently – and put them on a cooling rack to cool. Then, frost your cupcake as normal. It’s going to cover up all the ugly, but also add another level of yum. Don’t hold it against me if you have to have an all day dance fest to work off all the calories…. 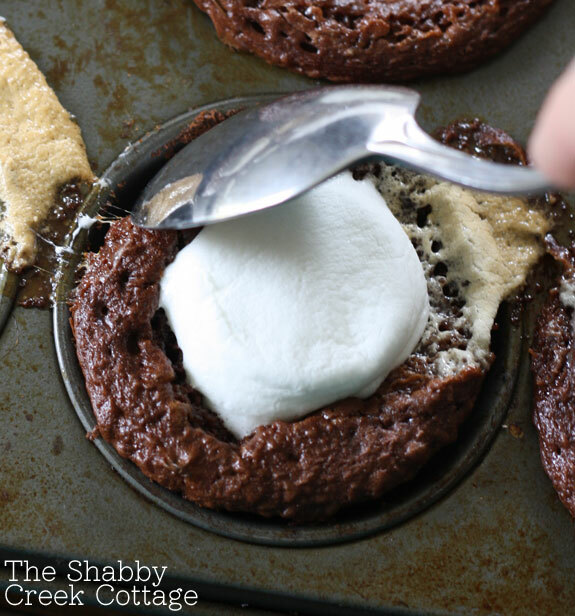 the marshmallow in the middle chocolate cupcakes can be kind of addictive. You’ve been warned! O my word! These look soooooo good! This looks like one I will try! do you think it will taste the same if I just use the marshmallow cream or I just load in marshmallow after baking? They look amazing! 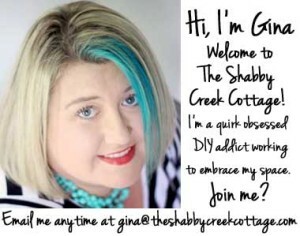 Thank you for sharing, I will make them for the kids (that’s always what I say when I want something)! Pinned! Upon making these delicious looking cupcakes I found that it is very hard to get them off the pan with out them falling apart within the cupcake holder. I followed the directions twice and both times the same thing. Although delicious looking I believe I will try adding the marshmellow after for the third batch. Thanks for the recipe! We’re going to try your way of doing things for my brother’s 11th birthday tomorrow. Can’t wait to try it! It looks so fun. Have fun, they are super yummy! I thought you might like to know there’s a website stealing recipes from food bloggers, publishing them on their own website and Facebook page in an attempt to generate Adsense clicks. yum! Do you think this can be done with marshmallow cream? We don’t eat products with gelatin. 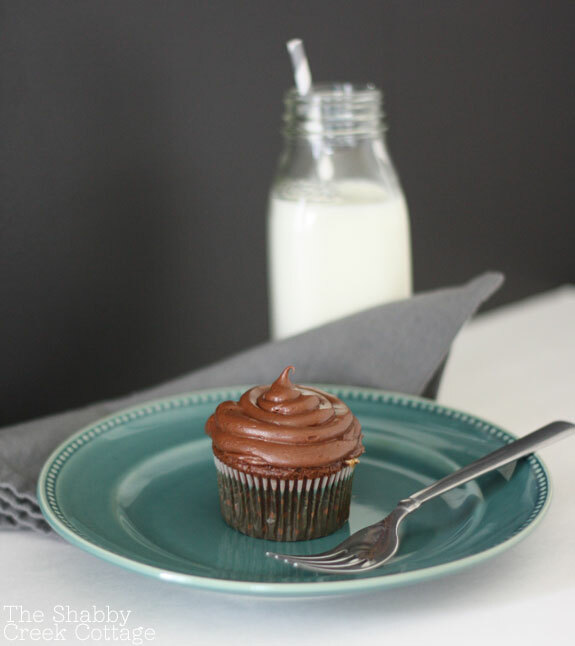 I have taken marshmallow creme and piped it into cupcakes after baking – super yummy! Love these cupcakes. I get requested often to make them. Easy to make and so good!! This is the recipe I was looking for! I’m lazy, too. THANK YOU!!! What a great twist on an old favorite. Thank you so much for sharing this! I made these cupcakes but used a bigger cupcake pan. I found that when I put the marshmallow in the middle and baked them the marshmallow rose to the top as the cupcakes baked. I was therefore unable to put in the second marshmallow. 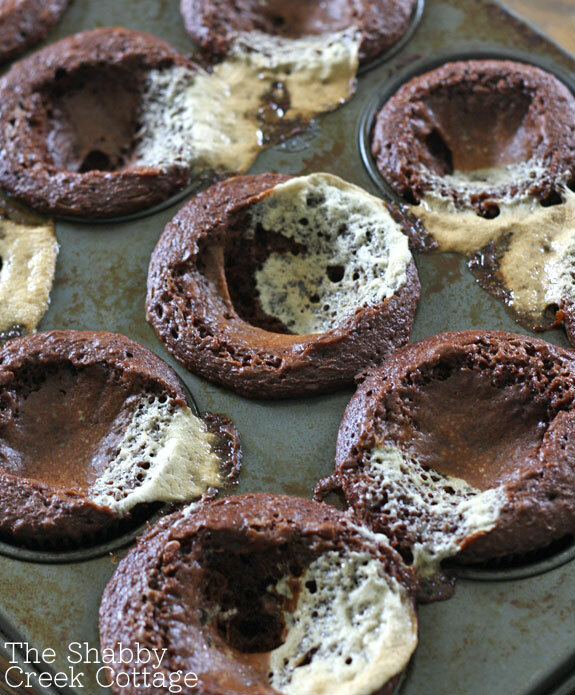 They were still delish but next time I will bake in a smaller cupcake pan and use paper liners like you did. Practice makes perfect. I will make perfect cupcakes with marshmallow in the middle if it’s the last thing I do. Thank you so much for this great recipe. If you know why this happened please let me know. Love your determination! If a recipe fails, I hesitate to ever make them again! I have a new mantra now: “Practice makes perfect”! That is awesome Alison, I’m so happy he liked them!! Does the marshmallow inside the cupcake stay soft and melted when the cake is cooled enough to be frosted? Do you refrigerate these or store in a container at room temp after baking? I need these to take for an event the next day. Also would the marshmallow harden in the middle if refrigerated? These look awesome. Can they be frozen? Sure Cari, they are yummy when still a bit cold 🙂 Enjoy! 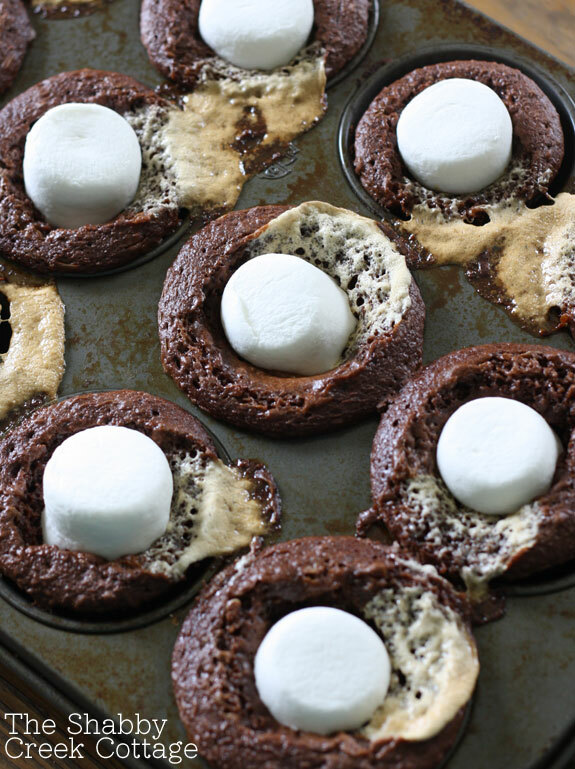 Just have these in the oven right now, but the first marshmallow doesn’t seem to have melted like yours, it’s just melted there’s no hole to add another! Hoping they turn out ok! Cupcakes were a big hit with the fiance`! Substituted vegetable oil with unsweetened apple sauce; brings out more of a chocolate flavor 🙂 Thank you for sharing your brilliant semi-homemade recipe! Would layers work. 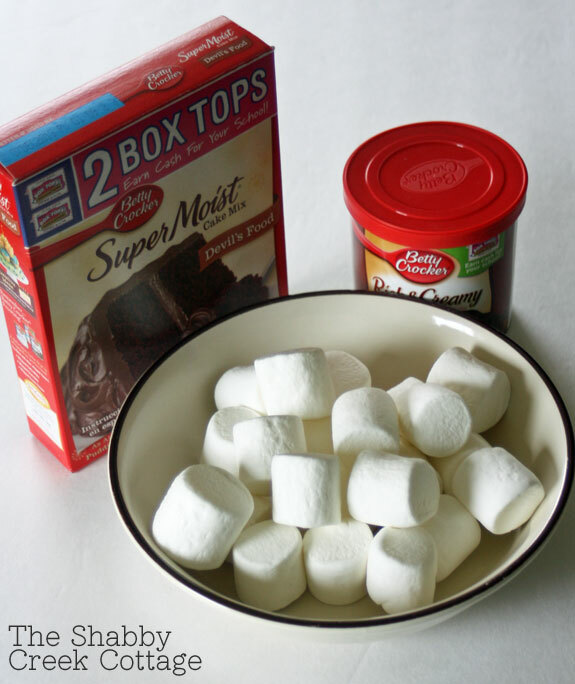 Cake mix, marshmallow then more cake mix. It just might Felice, I haven’t tried it but it could be yummy! I am confused, the first marshmallow was melted? So there’s a whole on it? Christie, there vegetarian marshmallows! They are delicious! I have 7 vegetarian kids, I buy a case the beginning of summer! Toasting, in recipes, for s’more dip. Marshmallows are dairy free. We needed dairy free treats to share at day camp for my daughter’s birthday. We made a batch of dairy free mini cupcakes and put mini marshmallows in each one. They’re great! Thank you for this easy recipe. Hi! 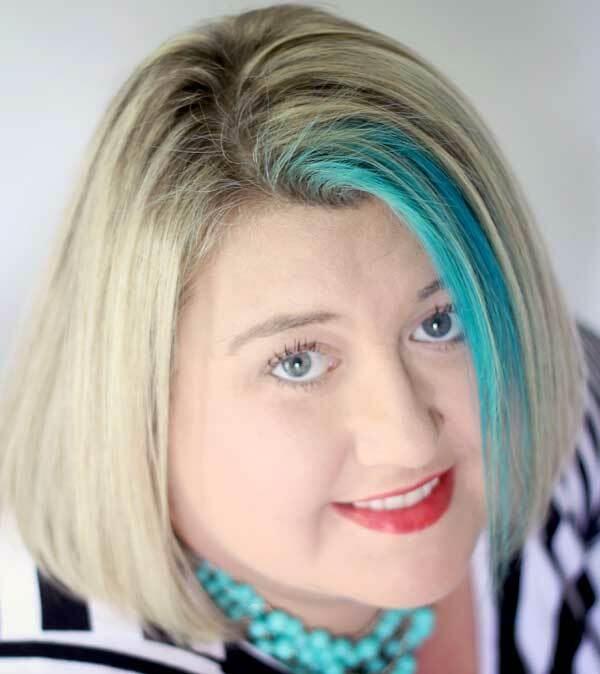 My name is Elizabeth and I really want to ask you something. Why didn’t you put the yield or the servings? It’s just that I have a school project and my teacher told me to say how many servings there are and how many do you need to make 30. Also, the servings cannot be less than 4 and it cannot be more than 10. Also, there is suppose to be 8 or more ingredients. There can’t be less than 8. Also, I want to make these cupcakes. But I don’t know the yield. So…..maybe you can add it? If you can? PLEASE?????? Thank you very much! I appreciate it!!!!!!!! I cant find a recipe for the cup cakes. 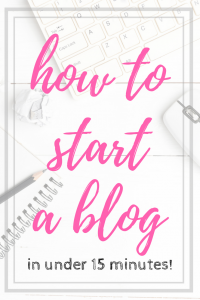 I would like to join your blog, but I do not see a format where you sign up to do that. I would like to join your blog, but I do not see a format to sign up for it. Did I miss it somewhere?